Are We in the Midst of a Housing Bubble? Freddie Mac Offers Some Reassuring Words. Memories of the mid-2000s housing-market bubble — and the collapse that followed — have Bay Area homebuyers, investors, and real estate professionals wondering whether the current run-up in prices is evidence of another dangerous bubble in the making. But new research from Freddie Mac says those fears are overblown. In fact, in one major indicator of a housing bubble — measuring the median house price to the median household income (PTI ratio) — the Bay Area isn’t even included on the list of overly inflated U.S. metropolitan areas. Freddie Mac’s “bubble” report, released Thursday, listed 17 metro area with high PTI rations, and the only California region to make the list was Los Angeles. The only other West Coast region was Portland, Oregon. The report suggests that the Bay Area’s high housing prices can be explained by the region’s booming economy, particularly the tech industry, rather than an irrational “mass delusion” fomented by eager investors, which is the ultimate hallmark of a housing bubble. 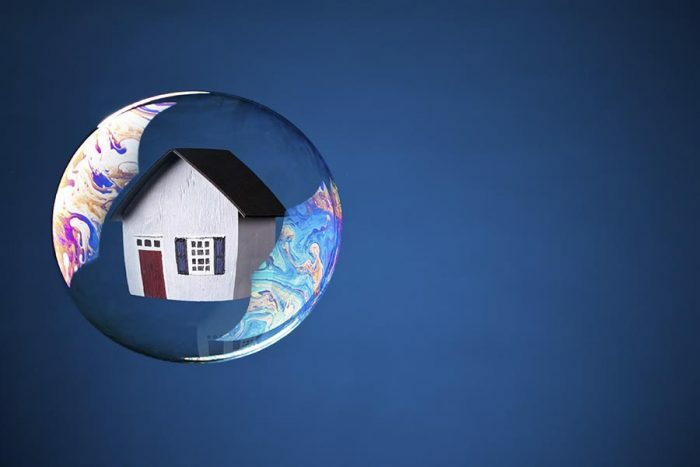 “The evidence indicates there currently is no house price bubble in the U.S., despite the rapid increase of house prices over the last five years. However, the housing sector is significantly out of balance. The incomplete recovery in residential construction following the crisis of the last decade has created several years of pent-up demand for household formation. What we can’t predict is how this imbalance will eventually be resolved. Will there be a gradual restoration of a normal balance between supply and demand? Alternatively, will the rate of home building remain stubbornly low, exacerbating the income and wealth inequality that followed the Great Recession?